Ron Hawkins, D.Min., Ed.D., serves as the Chief Academic Officer and Provost at Liberty University. He and his leadership team work to continuously improve undergraduate and graduate instruction, academic research, and support services. 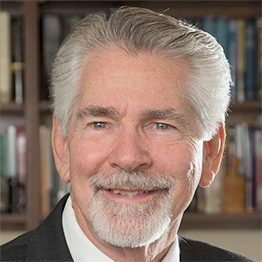 Dr. Hawkins is a Licensed Professional Counselor in the state of Virginia, author, and frequent presenter at regional and national conferences for the American Association of Christian Counselors, where he currently serves on the Executive Board. He is the author of Strengthening Marital Intimacy and coauthor of The Quick-Reference Guide to Biblical Counseling with Dr. Tim Clinton. Dr. Hawkins speaks throughout the year at various regional and national conferences and is a contributing author to various publications.